Pusa Hydrogel, a semi-synthetic cross-linked hydrophilic polymer, was developed for improving water use efficiency in agricultural and horticultural crops under limited irrigation and rainfed conditions. The technology includes bench scale process for its production along with the concomitant use package under diverse agricultural situations. The technology has been licensed to : M/s Earth International Ltd.; M/s Carborundum Ltd.; M/s Sarpanch Samaj; M/s Madhusudan Pvt Ltd.and M/s Navabharat Navabharat Pvt. Ltd., M/s Nagarjuna fertilizers Pvt Ltd.
First indigenously prepared neem coated urea and industrially adapted in India. It resulted in 10-16% average increase in rice yield. 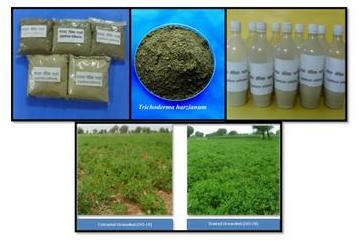 Technology developed is being used by NFL, KRIBHCO, Sri Ram Chemicals& Fertilizers, Indo-gulf Fertilizers. A simple, fast, cost effective and environment friendly process with no effluent / waste was developed for Aza-A rich concentrates. A package for the use of left over cake, seed husk etc. 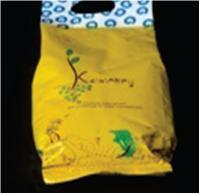 is also suggested to enable consumption of the raw material (s). 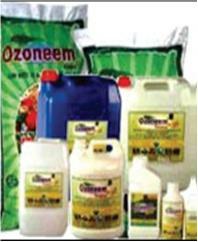 The total package is in commercial use by Ozone Biotech Pvt. Ltd., Haryana is producing and exporting technical azadirachtin concentrate (Ozoneem Aza) to USA, Japan, Korea, Senegal, Nepal. The technology has also been licensed to M/s Srinidhi Enterprises, Bangalore and M/s Bharat Biocon Pvt Ltd, Bilaspur, Chattishgarh. For PCR based detection of Xanthomonas axonopodis pv. Punicae (a), the causal bacterium of pomegranate bacterial blight (b-d),a primer pair KKM 5 & 6 are synthesized and validated for amplification of 491 bp of the C terminal of the Gyr B gene regions. This technology has been transferred to Pome Care Lab, Melagaon, Nasik for production of healthy planting material. 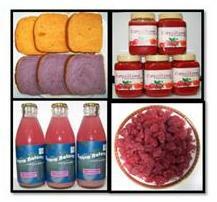 M/s Bejo Sheetal Seeds Pvt. Ltd., Jalna for ( truncated replicase gene of Tomato leaf curl virus ) for developing transgenic tomato resistant to Tomato leaf curl virus andRNAi based viral gene construct ( artificial micro RNA based) for developing transgenic tomato for leaf curl resistance and Advanta India Ltd. Hyderabad for Primary transgenic tomato resistant to leaf curl and Groundnut bud necrosis virus. Coat protein gene constructs for developing transgenic sunflower for necrosis disease resistance to J K seed Industry, Hyderabad. The heat tolerant entomopathogenic nematode species (Steinernema thermophilum) licensed to Multiplex Biotech International Ltd., for its widespread use against soil and foliar insect pests of crops. A novel biopesticidal formulation of S thermophilum with improved shelf-life and method for its mass culturing. Indian patent application (Reference No. 8115/RQ-DL/2006). Development of entomopathogenic nematode-based termite bait and a technique to disseminate the bait for attracting and killing subterranean termites. (Patent Application No.2315/Del/2007dated 6.11.2007). Invention of Mohan Infective Juvenile Isolator (MIJI) for isolating infective juveniles of entomopathogenic nematodes from infected insect cadavers. (Patent Application No.576/Del/2009dated25-03-2009). Nanosulphur: A technology for nano sulphur has been developed. Nano-sizing of sulphur particles resulted in enhancement of fungicidal potential of sulphur particles. Product is nearly two times more effective than the commercial formulation, thus facilitate its use even at lower amount with better efficacy. Nanohexaconazole: A technology for nano hexaconazole has been developed. The nanohexaconazole is 2-6 times more active than the commercial formulation against different Rhizoctonia solani isolates which cause sheath blight disease in rice. National Pusa Collection (NPC), one of the largest collections of insect collection in world. Now this collection houses more than half a million specimens of which 0.1 million are authentically identified, comprising about 20,000 species. Over the last 50 years, 1500 new species of insects have been described from NPC. As a national service for pest diagnostics, every year, over 4000 specimens are identified by the taxonomists of this Division. Several taxonomic treatises on agriculturally important insects belonging to orders Lepidoptera, Coleoptera, Hemiptera, Orthoptera and Hymenoptera and class Acarina have been made from this Division. Currently, CD-ROM based diagnostics are being developed for various crop pests. Analysis of changes in pest profiles in rice-wheat cropping system in Indo-Gangetic plains during last 30 years revealed drastic change in pest scenario after the green–revolution due to intensification of agriculture. 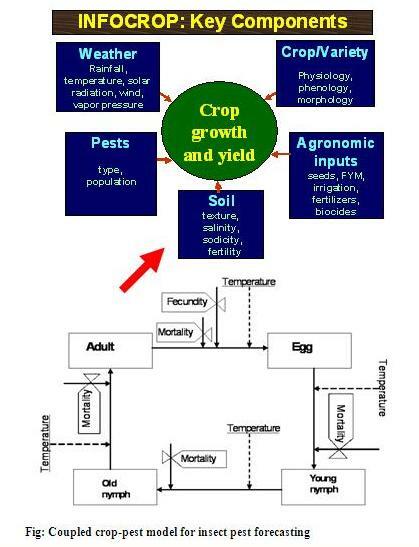 INFOCROP, a generic crop growth simulation model was validated for pests of rice and wheat crops. Also loss curves for stem borer and bacterial leaf blight in rice and rust and stem borer in wheat was developed both individually and jointly. 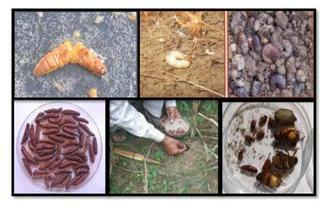 Over past decade we have isolated more than 250 strains of Bacillus thuringiensis (Bt)from soil, warehouses and insect cadavers from different regions of India. 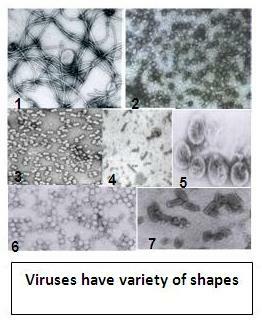 Out of dozen effective isolates, most promising is Bacillus thuringiensis var. kurstaki isolate Aug 5 (accession no. JX674043), which was evaluated for their efficacy against a dozen lepidopterans namely Helicoverpa armigera, Spodoptera litura, Spodoptera exigua, Plutella xylostella, Leucinodes orbonalis, Pieris brassicae,Chilo partellus, Plusia orichalcea, Corcyra cephalonica, Earias vitella, Spilosoma obliquaa and Uthethesial otrix. 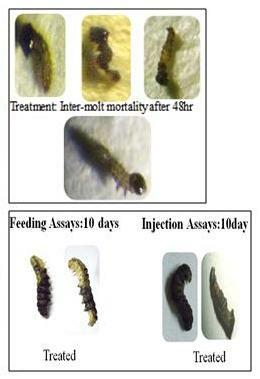 AUG 5 was found to be highly toxic to neonates of all the tested insects and the fourth instar larvae of P. xylostella. It is at par or better than B. thuringiensis var. kurstaki HD-1 for most lepidopteran species including S. litura. 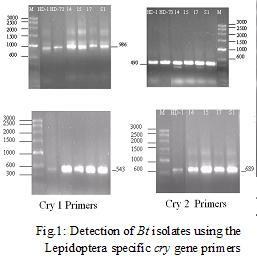 AUG 5 is positive in the presence of cry1Ac/cry1Ab, cry2A, cry3 and cry9 genes on the basis of their PCR amplification with specific molecular markers and contained significant amount of Cry1Ac and Cry2Ab toxins. More than 100 gene sequences of native Bacillus spp submitted to NCBI Genebank. Chitin has to be degraded during the development of the insects periodically and hence chitinase plays an important role during the insect growth and development. Chitinase expression therefore coincides with the molting process and is developmentally regulated in insects. Putative chitinase genes from S. litura and H. armigera respectively were identified through genome-wide search. siRNAs were designed and synthesized from the EST region of chitinase gene of H. armigera as well as S. litura. Feeding and injection assay of SiRNA as well as dsRNA against neonates and 10 day old larvae respectively showed inter-molt mortality. This provides proof of applying SiRNA to knockdown of chitinase gene.